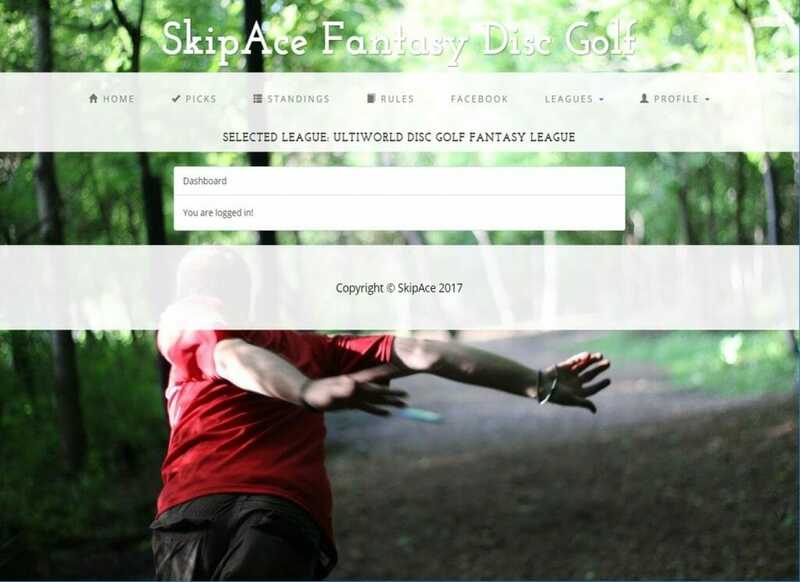 Skip Ace Fantasy Disc Golf’s main page. Skip Ace Fantasy Disc Golf is back again with more updates to their fantasy disc golf website and a few changes to the scoring system for 2018. That means we’ve re-created our traditional salary cap fantasy disc golf league again, and added a second survivor league as well. Both leagues are free to join and enjoy. Once you’re in, to make your picks just use the “Leagues” tab to toggle between the different leagues you are in. Once you have selected the league you want to make picks for click on the “Picks” tab. You will see in the header text that pops up the name of the league you selected. Below that You will see the schedule. Simply click on “Create” next to the name of the next event you want to make picks in to set your lineup. For salary cap leagues, your lineup each week will consist of four MPO players and two FPO players. If you join the Ultiworld Disc Golf League the salary cap is 6,000 ratings points, so your six-player lineup cannot exceed that total amount. The scoring structure for every league can be viewed here. A new wrinkle added this year in all leagues is an alternate pick in both MPO and FPO. Should a player in your main lineup no-shows or doesn’t finish the event, your alternate pick is inserted into the lineup. The alternate pick cannot have a higher player rating than the lowest rated player in your main lineup. Once your lineup is set each week you can check on how well those players faired by returning to the site and clicking on Standings, where you can also see where you stack up amongst the rest of the participants. The easiest way to enjoy fantasy disc golf is to join a survivor league. Throughout the 20 week season, you will have to pick one player from the list of registered MPO players at each event. If the player finishes in the top 15, you move on, if he doesn’t, you’re out. You can only choose each player once all season, so choose wisely. There are plenty of other fantasy leagues to join on Skip Ace, including the Disc Golf Pro Tour league (signup code: DGPT) and Uli’s Picks (signup code: ULIS). If you’re feeling really ambitious you can create your own league and compete against your friends, while choosing any events on the PDGA calendar from your local C-Tiers to PDGA Majors and anything in between. Sign up and join in the fun if you’re ready, or if you have more questions, head over to the Fantasy Disc Golf Facebook page to learn more. 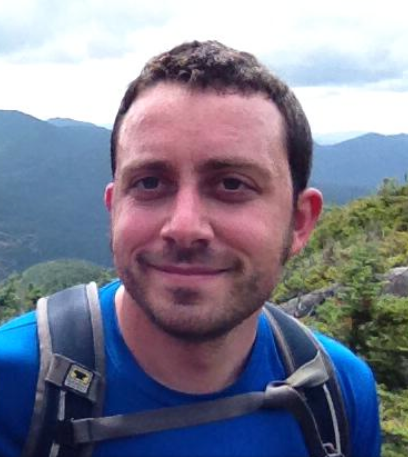 Comments on "Ultiworld Disc Golf’s Fantasy Leagues Are Back On Skip Ace"